Our mission is to create high-performance, high-value products that deliver brilliant design, beauty and efficiency to our customers while always seeking ways to reduce our impact on the environment. • At JELD-WEN, we put our concern for the environment into everything we do, so that energy savings and peace of mind are built right into your home. 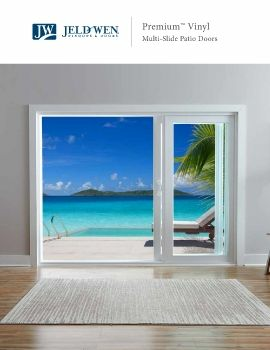 • ENERGY STAR® – We have been an ENERGY STAR® Partner since 1998 and offer a wide variety of windows and doors that meet or exceed their standards. • Locally sourced – We build your windows and doors in the nearest facility and source our materials locally whenever possible in order to reduce our carbon footprint and support local economies. • Reduced VOCs – We are a leader in reducing volatile organic compound (VOC) emissions, resulting in fewer toxins being emitted in the air from both the manufacturing process and the products in your home. • Recycled materials – Our vinyl windows meet the sustainability requirements for durability and also meet material conservation goals, as they are produced using up to 15 percent recycled vinyl waste. 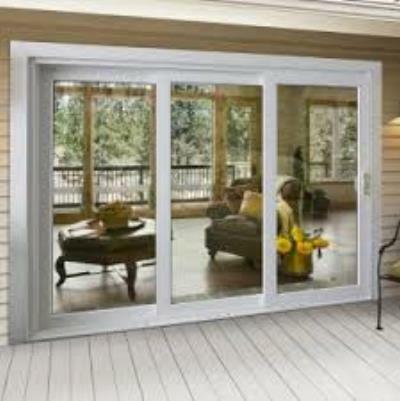 There are a number of factors that impact the energy efficiency of windows and doors. • Low-E glass: Low-E—or low emissivity—is an invisible metallic coating on the glass designed to reflect infrared light, keeping heat inside in the winter and outside in the summer. It also reflects part of ultraviolet light to protect interior furnishings from fading prematurely. Low-E is often the best choice for energy efficiency and is frequently standard on many products. • ENERGY STAR®: ENERGY STAR® is a voluntary program created by the U.S. Environmental Protection Agency that helps businesses and individuals reduce energy consumption to save money and protect the environment. You will see an ENERGY STAR® label on a window or door if it meets the energy-saving specifications for a designated climate zone. • Gas fills: Manufacturers often fill the space between glass panes with gas, such as argon or krypton, to improve thermal performance. Both argon and krypton are naturally occurring, inert, nontoxic, nonreactive, clear and odorless. Krypton has better thermal performance and is more expensive to produce. 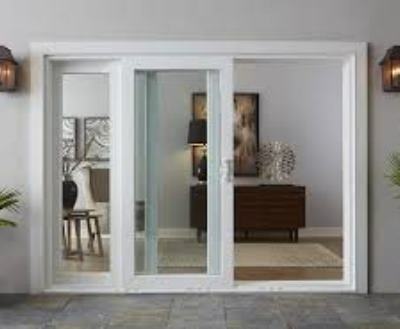 • Glazing: Glazing refers to the act of furnishing or fitting a window with glass. Glazing can be a noun or a verb. As a noun, it is defined as the infill material (glass). As a verb, it is the process of installing the infill material (glass) into the window sash or frame. 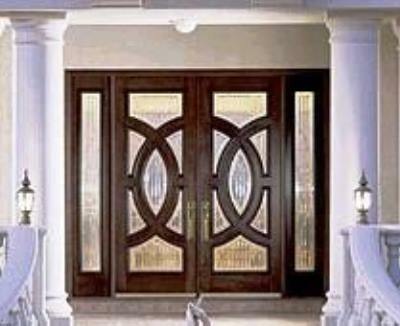 • Glass options: Glass options may vary by region. Double-pane insulating glass is the most common. Other options might include triple-glazed insulating glass, which is often better suited for northern areas for best thermal performance. • Visible Light Transmission (VLT) is the percentage of sunlight that penetrates a window or door. Higher percentages mean more light will enter through the glass. • U-Factor is the amount of heat flow through a product. The lower the number, the more energy efficient the product is. 1. Give your home an energy makeover – A survey or audit of a home’s energy usage and costs can identify specific ways to reduce your home energy bills. Many state energy offices and local utilities offer energy audit services or may be able to provide other sources for this service. ENERGY STAR® offers a tool to assess your home and compare your household’s energy use to others across the country and to get recommendations for improvement. 2. Check your front door – If you’re looking to improve energy efficiency, start up front. 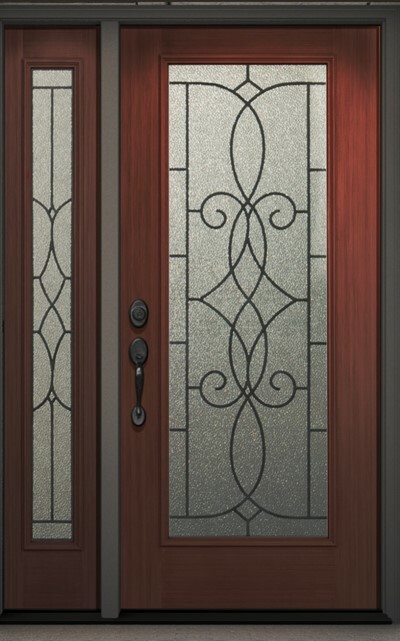 Your front door is often the first line of defense against the elements. If it doesn’t close properly or lets in a draft, you’ll pay the price in your utility bills. Check the weather strip for any gaps around the door. If issues can’t be easily fixed, it may be time to replace the door. 3. Get glass that works for you – Energy-efficient windows feature an insulating glass unit of two or three panes as well as Low-E coatings, gas fill and a variety of engineering advancements that stop the transfer of heat and cold. Together, these high-tech options make a glazing package. 4. Check the compass – The direction windows and doors face can make a big difference in the sun’s intensity level within the home. South- and west-facing windows and doors require the highest level of UV protection. 5. Identify savings opportunities – Energy-efficient windows and doors offer measurable, long-term savings. Plus, many local utilities offer rebates for purchasing ENERGY STAR® certified windows and doors.